So if it takes 4 guys at Turner Motorsport 27 seconds to complete a pit stop, and it takes a 25-person Formula 1 crew 5 seconds to do the same, doesn't that make Turner's pit stop faster per crew member? Turner's crew of 4 will spend a total of 108 seconds combined and the Formula 1 team will spend a total of 125 seconds combined. I think we have a winner! Super Kart GP at Isle of Man: Insane Speeds on a Bumpy Street Circuit! It is hard to believe but this video is NOT sped up. Check out the visual blur at 1:40. I love the comments at 3:42 - "Look at the pounding he's getting!" The tight racing action at 4:18 is incredible. And the crazy side-by-side finish at 5:27 adds up to a memorable race! Hat Tip to Dylan R.
Look, you only need one wheel for drifting! Here are videos from the top two cars on r-comps and the top car on street tires at BMW CCA Boston's 2012 Autocross Event 3. Interestingly, even though the two fastest cars (an '11 EVO MR and a '95 M3) were entirely different, they had one thing in common that neither car was supposed to have: 315 mm wide tires all around!! "I'm Learning to Fly, But I Ain't Got Wings..."
Well, this was a short race: more time spent in the air than on the pavement after the rolling (pun intended) start! 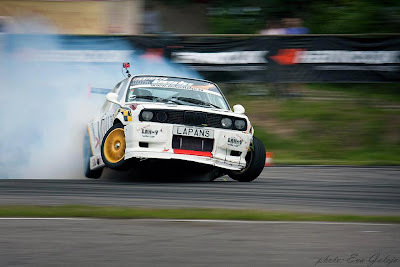 Doug Peterson Formula Race Car Crash from Vinylbmx on Vimeo. The June 2012 issue of RACER magazine is another stellar edition. Its main feature is racing heroes: Senna, Camille Jenatzy, Dale Earnhardt, Alex Zanardi, Rick Mears, and more. It's definitely worth a read if you are looking for some quality time. Motorcycles, diesels, hybrids, vegetable cars, all sorts of people doing the fuel economy thing, trying to be green... and they were beaten by a low-tech, gasoline-powered Honda CRX that got 118 MPG over a 100-mile hypermiling event! I had a brain fart at the second optional slalom during this Sunday's autocross and halfway through the transition between the first and second cone, I forgot which way I was supposed to go. The "laughing attempt" really did me in. And here's a video confirming Kimi's mood states. 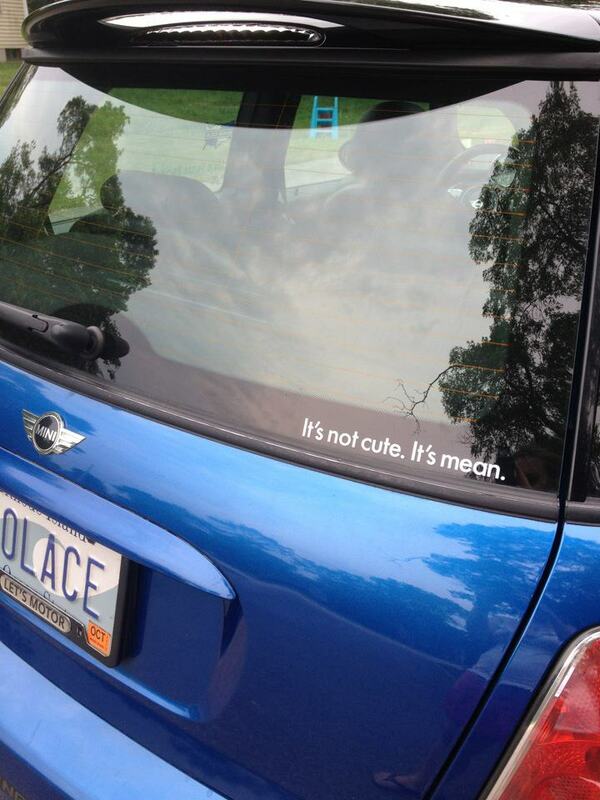 Hat Tip to Jessica S.
"That car is so cute I want to throw it over my shoulder and burp it." After hearing this from a stranger in a parking lot, Jessica decided enough is enough and put this mean sticker on her car. Thought the hedge could use a little high-speed trim. Damn, I'm still 10" off the apex! So trading derivatives in gold and pork bellies has worked out great for you lately and you are looking to reward yourself for all your hard work with the best trackday driving experience you can find. Your budget is 5K - only a fraction of your quarterly bonus as a successful commodities trader. 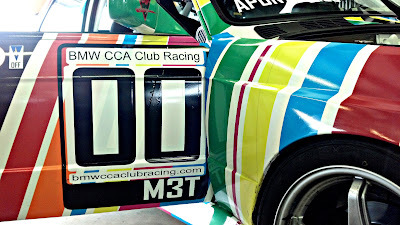 You are looking for an exciting car, top-notch instructors, and a great track with suitable amenities for your trackday experience. Here are all the details straight from the promoters' invites. Let us know what you think here or on our Facebook page. Absolutely gruesome to look at this. 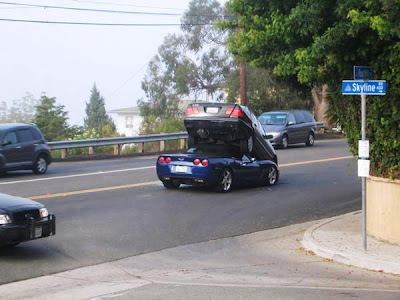 Cannot blame it on Corvette brakes. 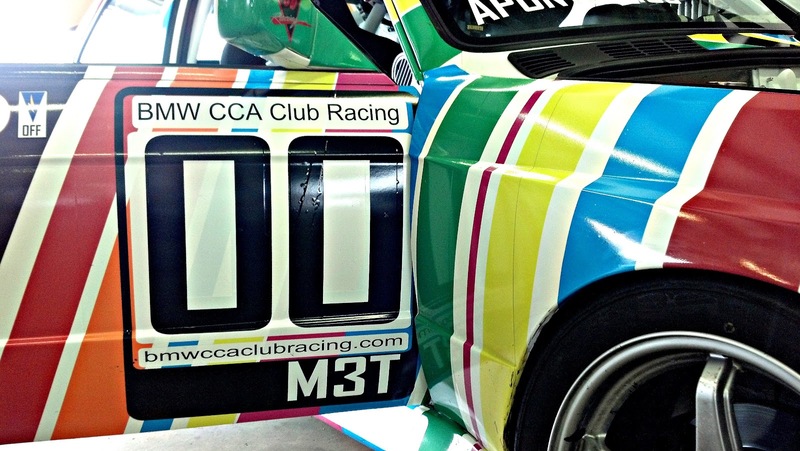 The Stig's OneHotLap cousin The SMIG is back in a Blaze of Glory and drawing out the big guns with an E30 M3 art race car!! 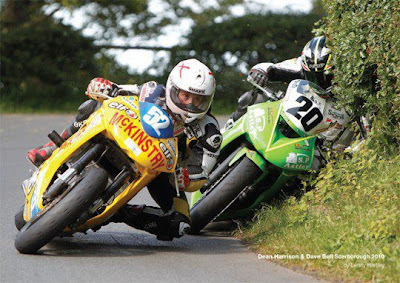 Hopefully there is still time to add motorcycle racing to the 2012 Olympic games! Jack Lawrence: Dale, I feel like I'm in a white Bronco. Dale Putley: Sorry, I just get anxious driving over bridges. Jack Lawrence: That's because you're going 20 miles per hour. Dale Putley: I'm going 35 miles per hour, Jack! Jack Lawrence: Yeah, I can feel the G-force. 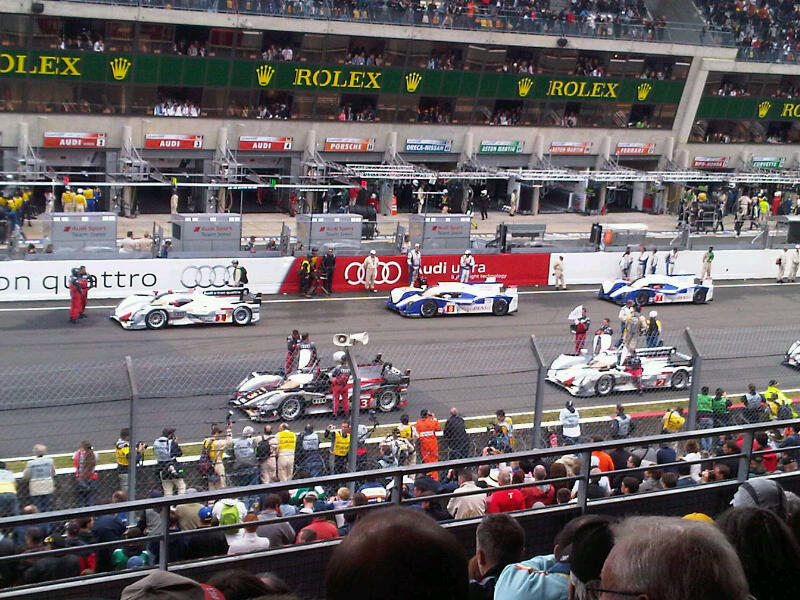 This is what the starting grid at Le Mans looks like. I am green with envy that one of our fans is sitting so close to the start/finish line. And this is one of the greatest things about Le Mans - there are so many spots on the track where you can reach out and almost touch the cars as they are blazing by! 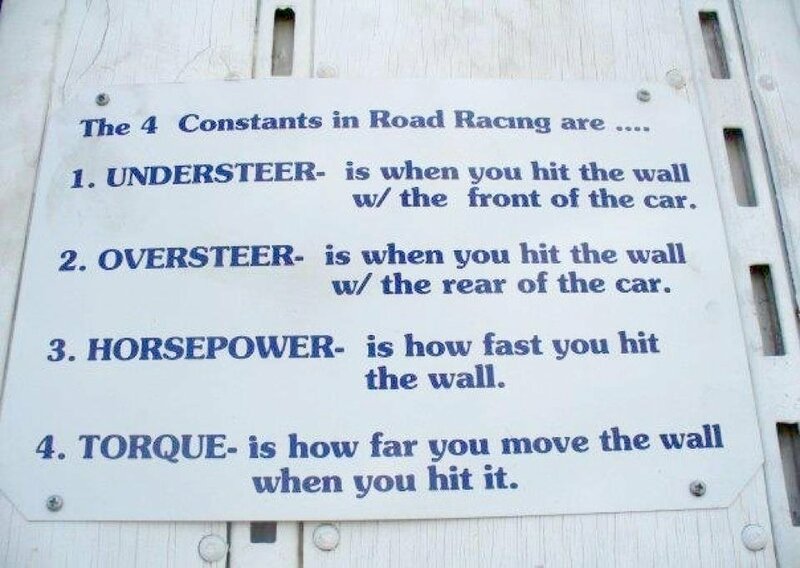 Hat Tip to OneHotLap fan John O. How To Style Your Garage with a Picture Tarp! Your very own real size Formula 1 car for $250! Hat Tip to Tom R.
Here's one driver that can easily win the Le Mans race without saying a word: Mr Bean at the wheel! And if it is who we think it is, why are they still running around naked after all these years of evolving?! I like it how the editor mixed footage from older and newer races and managed to kick it up a notch every step of the way. McLaren has accused Ferrari of snapping these spy photos of competitors' ride height, aerodynamics, and especially rear-end exhaust and diffuser design. 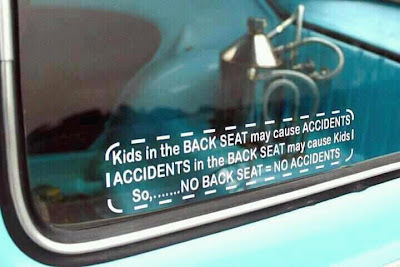 No Back Seat = No Accidents!! 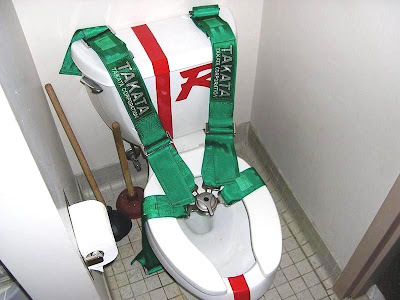 So if you are stuck with a car that has a rear seat, you owe it to yourself to take it out. What brake pads are the best? Should I use OEM components? What is better- Slotted or Drilled Rotors? Are all performance rotors created equally? Are Big Brake kits really better? Can I use racing brake pads on the street? What makes brake pads work? What makes my brakes squeak, and how do I fix that? If you have already found the answers to your questions and know what type of brakes you want, the next step is to figure out where to get them. There are many stores that sell brakes with some claiming to "offer" deals that you know are too good to be true. But, we all know the old adage about deals that are too good to be true, don't we? 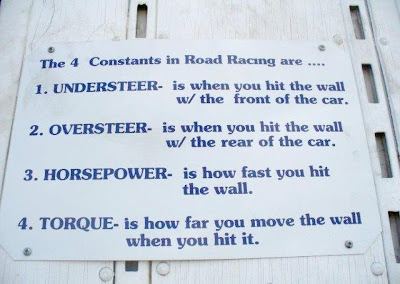 Really, when it comes down to it, I know the most important thing for driving enthusiasts like ourselves is getting the RIGHT PART, ON TIME, and at a fair price. So we found a fantastic store that sells a ton of brakes at a fair price. Actually, that's all TopBrakes.com sells: brakes! Their 'brakes-only' business model means you get one of the widest selection of brands anywhere. And their volume purchasing means extra savings for YOU. They have been in business since 2003 and they are one of the Top 5 largest distributors in the U.S. Think of them as the "Tirerack" of brakes. They have over 50,000 brake pads and rotors in-stock and over 92% of their orders are shipped the same day. I found the guy that caused my crash! 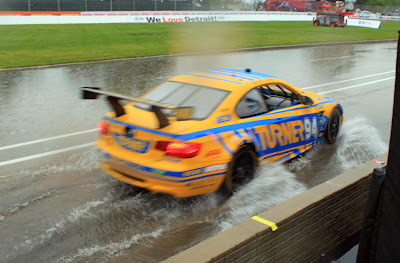 Congrats Turner Motorsport on a Fantastic Mid-Ohio Win!! 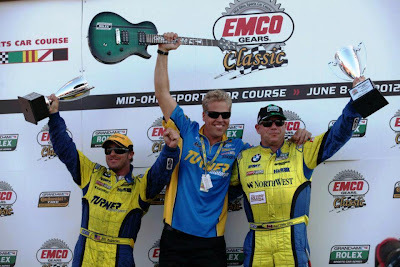 Congrats Bill Auberlen, Paul Dalla Lana and Turner Motorsport on a fantastic Mid-Ohio win!! Great job holding off the Ferrari in the last few laps after the re-start! And by the way, is Will Turner picking up yellow hairs or is it just me!? I was looking for some info on the upcoming 2012 F1 Canadian Grand Prix and remembered this article I'd written 5 years ago. It put a smile on my face thinking about the fantastic weekend we'd had at the race. I think the experience would still be very much the same today, even though many of the drivers are different. 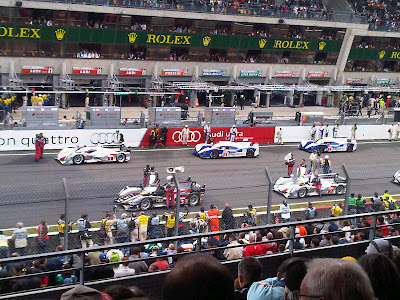 I was lucky to have bought tickets to the Canadian Grand Prix a few months ahead of the race. The event was completely sold out and ticket scalpers were charging more than double the original price for general admission. The major reason? Sensational English rookie Lewis Hamilton had gathered enormous media attention with his pole position and was widely expected to win his first F1 race. Getting to and from the track was very easy considering the size of the event. The Montreal metro is fast, clean, and safe. Ironically, my son Jason liked the subway so much that he thought it would be cool to have lunch at the Subway restaurant located at one of the main stations. It might have had something to do with the checkered flags all around the restaurant but then again, these could be seen all around the city. We drove 5 hours from Boston to the culinary capital of Canada to go eat at Subway? Some sections of downtown Montreal were closed to traffic and packed with people throughout the weekend. The party’s epicenter was right in front of Jacques Villeneuve’s Newtown restaurant on Crescent Street, which was also closed off to traffic with event sponsor booths on both sides of the entire street. You get free chilled Baileys shots from one vendor and then you can sit in an open cockpit car and try out a Canadian Grand Prix simulation game at Honda’s booth right next to it. I had trouble keeping my F1 car on the track – it was just too easy to spin it at lower speed, although the fact that the wait for Baileys was considerably shorter than the wait for the simulation game might have had something to do with it. The packed streets and bar balconies gave Crescent Street almost a Mardi Gras feel. The sight of women of all ages dressed for a great night out and proud to showcase their (not necessarily race) equipment added flare to the party. By the time we left in the evening, the street looked almost as packed as I remember Bourbon Street on Mardi Gras night. See the picture of the 3 girls? This is how you get hooked on Red Bull. 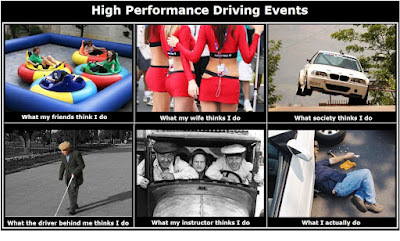 Going back to New Hampshire Motor Speedway for a driving event tomorrow. Wonder which of the Three Stooges I'll most look like? Moving, moving, moving good, car feels great, wait, what, was that someone mooning at me at 0:31? Will We Ever Find out What Caused This Gut-Wrenching 145 MPH Crash at Road America? Robert Dubler has been a staple driver on the long-running One Lap of America tour, competing in each of the past 12 years. I first met him when I did the One Lap race back in 2005 and he immediately struck me as one of the most charismatic character on the tour: the Clint Eastwood of Switzerland and The Wizard of Oz monikers equally apply. Dubler is also one of the best drivers I have ever met: he was driving a Pontiac Grand Am P.O.S. rental back in 2005 and he was usually running in the top half of a field where well set up cars with 300-400 HP were considered just average. Needless to say, I was shell-shocked to hear that Dubler had a horrific 145 MPH crash and rolled the car over the fence at Road America during the 2012 One Lap event. How could that be? I've seen him drive and I know what he is capable of. 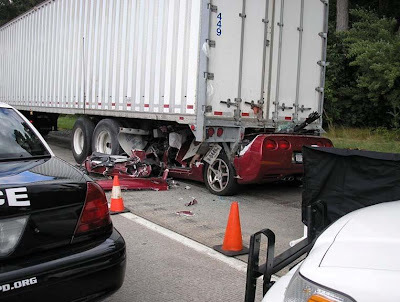 Then I found this intense and absolutely horrifying in-car video of his crash. NOTE: The owner has removed the video from YouTube. Audi couldn't beat BMW on the ground. Invents flying car to win in the air? Hat Tip to Bill H.
This Isle of Man video is beautifully shot and has amazing footage that will give you goose bumps. Speed ranges from tight 25 mph hairpins to an insane 206 mph!